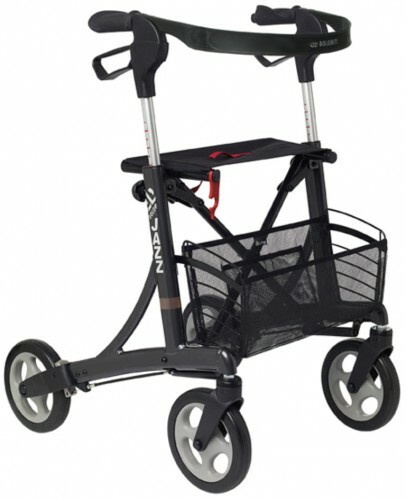 The Dolomite Jazz Rollator is an innovative and lightweight rollator designed for the active elderly person which combines numerous smart features with a stylish design. When confronted with limited mobility, the Dolomite Jazz Rollator offers excellent safety and support during daily activities, both indoors and outdoors. Allowing users to automatically assume a natural, upright walking position inside their rollator, the Jazz has a side folding frame into one of its rollators. 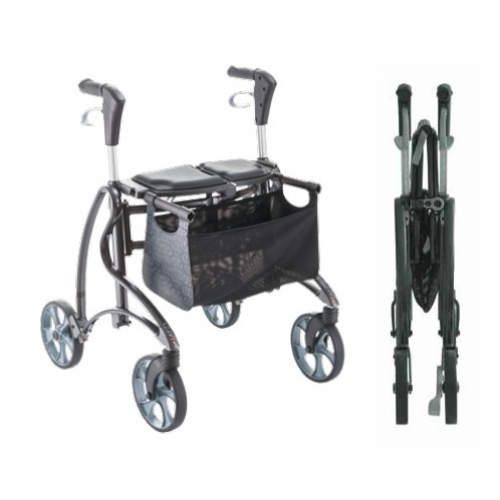 This innovative folding system will allow you to fold the rollator quickly, smoothly and with very little force. The ergonomic frame design also provides a very large walking space of 1,4 m² which will prevent the user from hitting any frontal parts. Very good piece of kit, my wife is very happy with it. Only problem we had was that instructions for fitting the Back Brace were not included. Happily these were supplied by Julie Wiley.